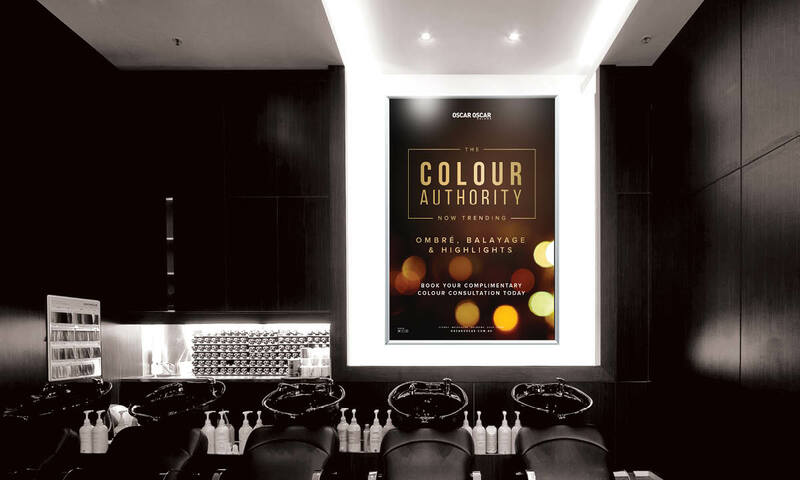 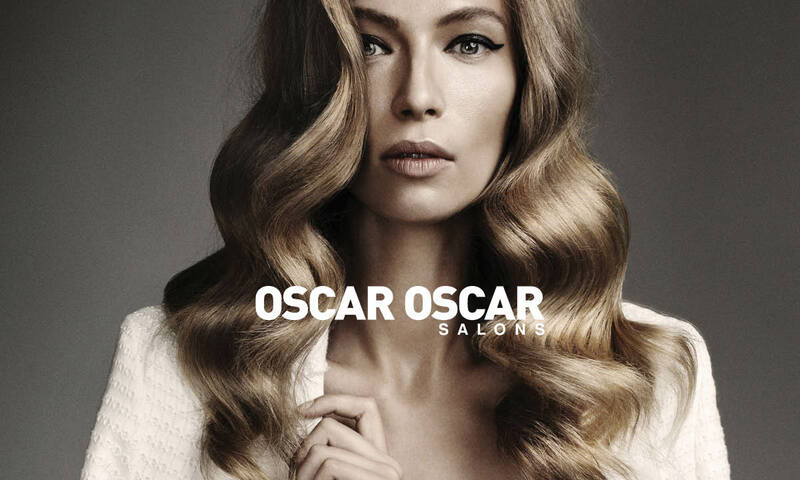 With 12 locations nationally, Oscar Oscar Salons looked to partner with an creative agency capable of providing an efficient service combining creative graphic design, production and dispatch of point of sale materials. 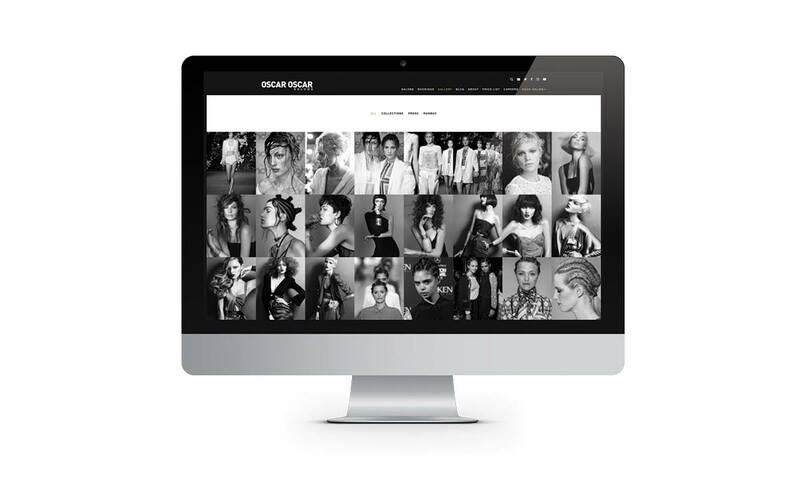 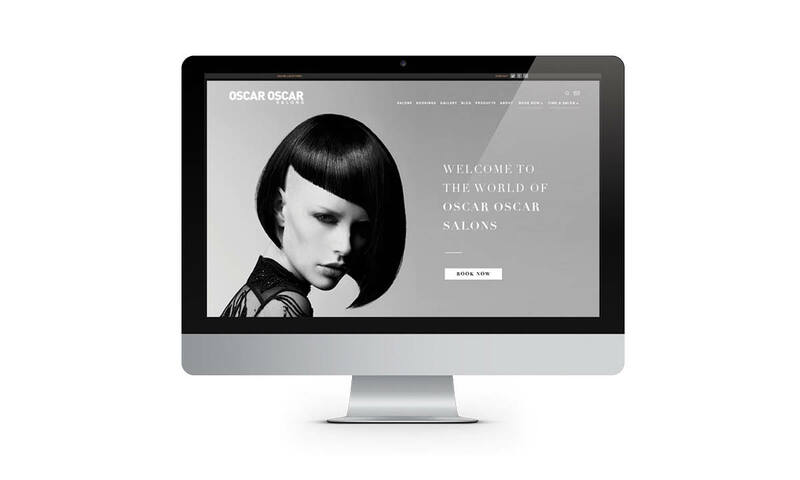 Alongside the in-store graphics and print collateral, Copirite works closely with the Oscar Oscar hairdressing franchise group developing various print campaigns, vibrant multimedia solutions as well as their custom built CMS website. 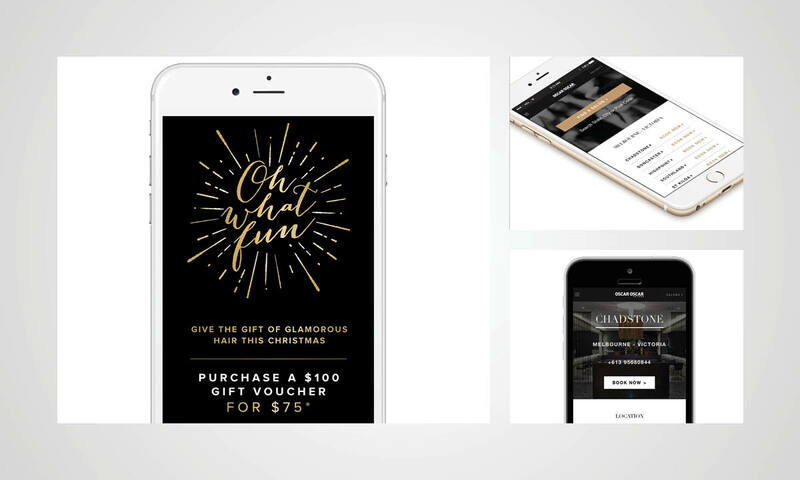 “Copirite just get it. 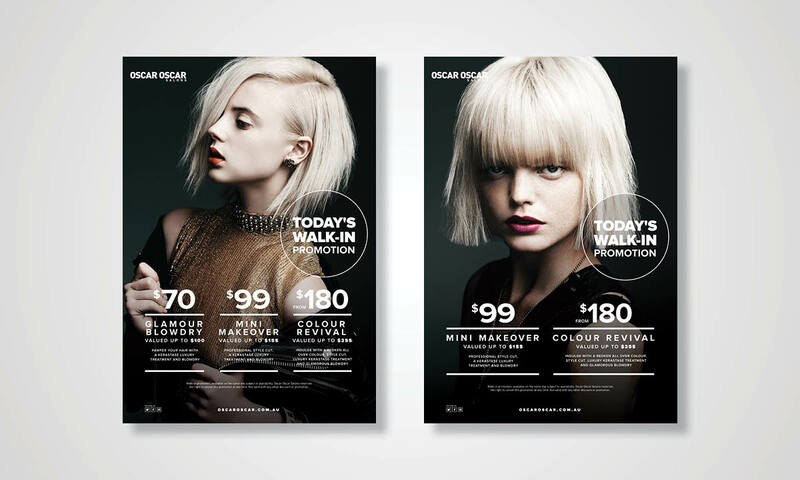 They get our brand, they get what image we are trying to project and they get the job done quickly. 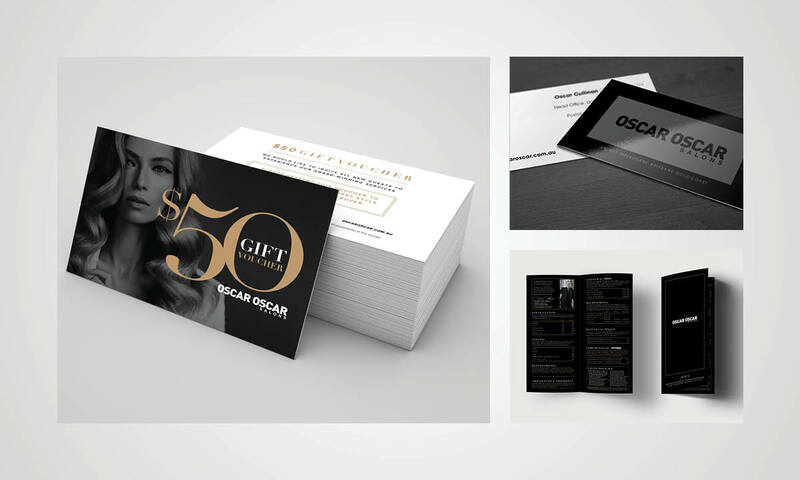 Having a creative agency that I can trust and that can turnaround luxury, prestigous creative for me in a short of amount of time is a life saver for me.